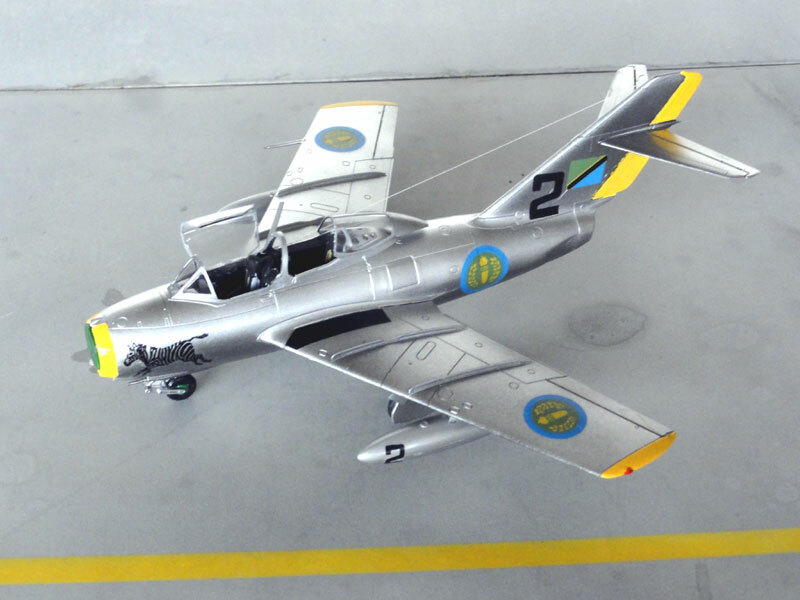 Hobbyboss MiG-15UTI two seater (kit no 80262) has also about 50 parts with many common with the single seat Hobbyboss kit. 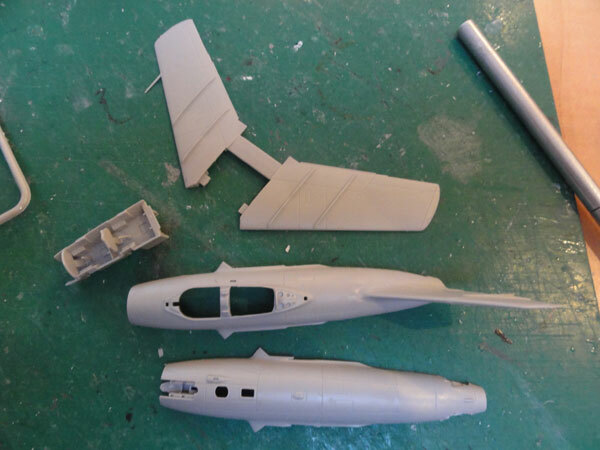 It has off course a two seat tub and fuselage. The long canopy is one single piece. 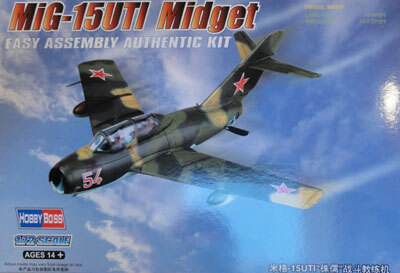 The UTI kit decals are for camouflaged MiG-15UI: (1) Soviet VVS and Iraq Air Force in desert scheme. 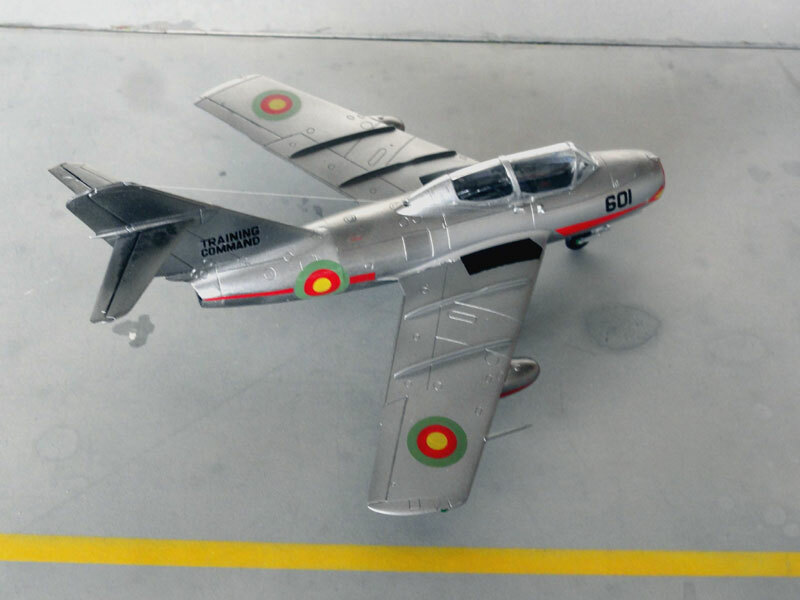 A few of these MiG-15 UTI models will be made. 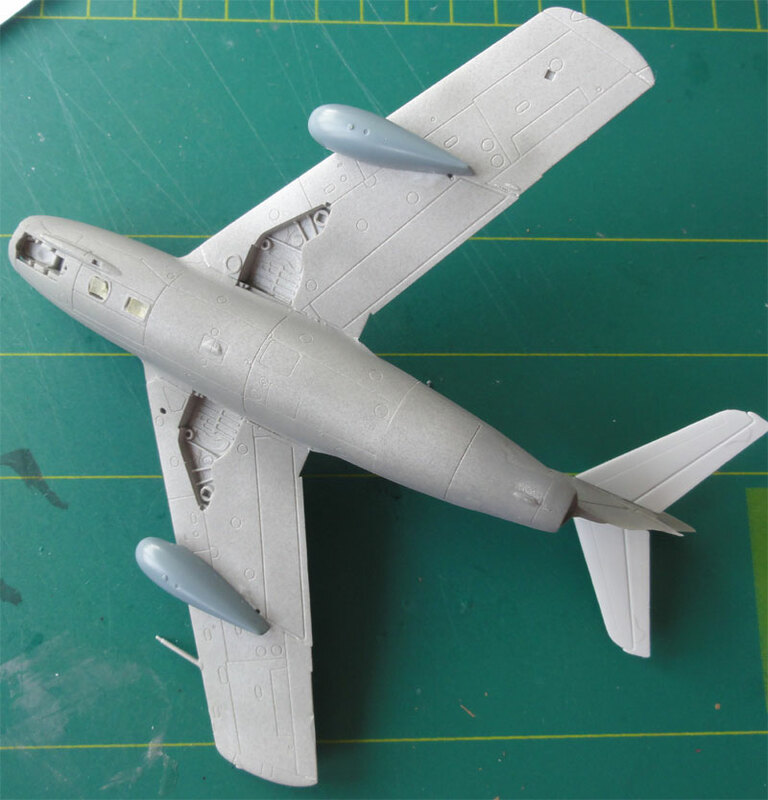 The model here after getting a light grey base coat. 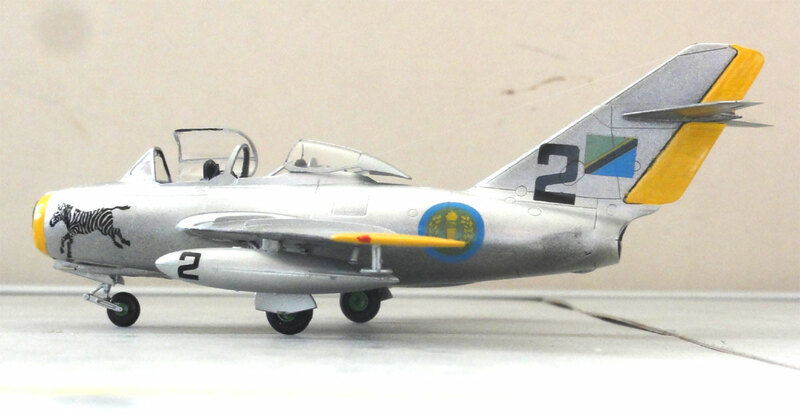 (slipper tanks were used from an Eduard kit as these look slightly better, kit to be discussed later). The long canopy is one piece. 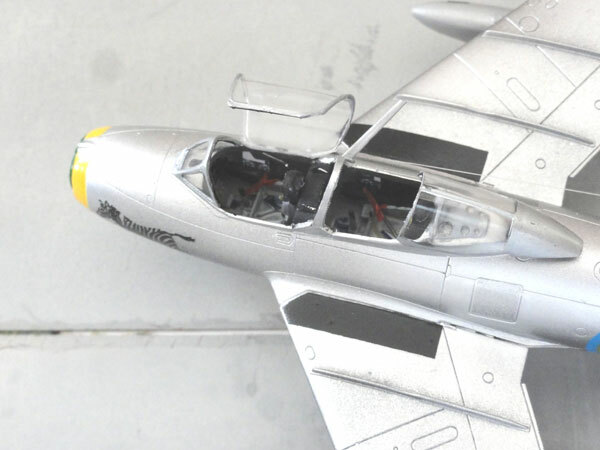 A model with cockpit detailed and with canopy open is nice. Used a TIGER razor saw. 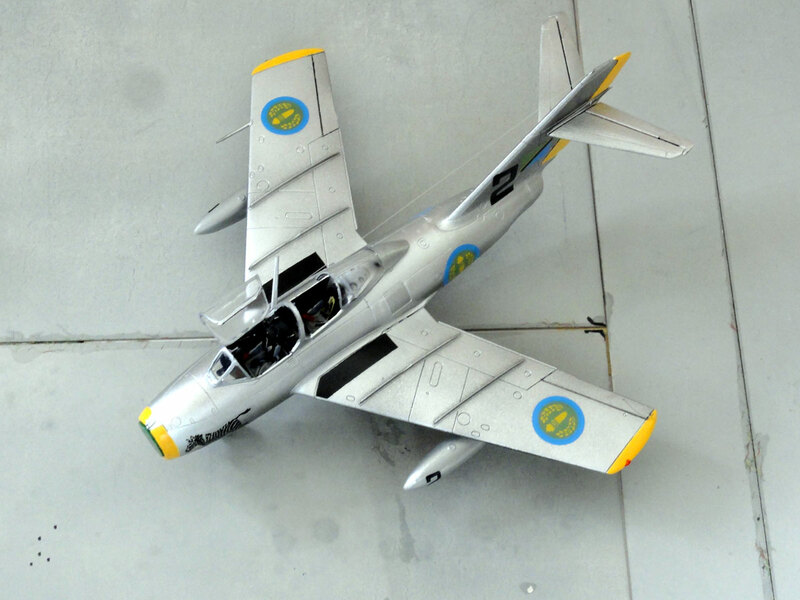 The rear canopy slides back, the front canopy tilts to starboard. For each model: no big gloss over coats were needed. Just a bit of Johnson Future/Pledge was applied below each decal with a brush to prevent decal "silvering". 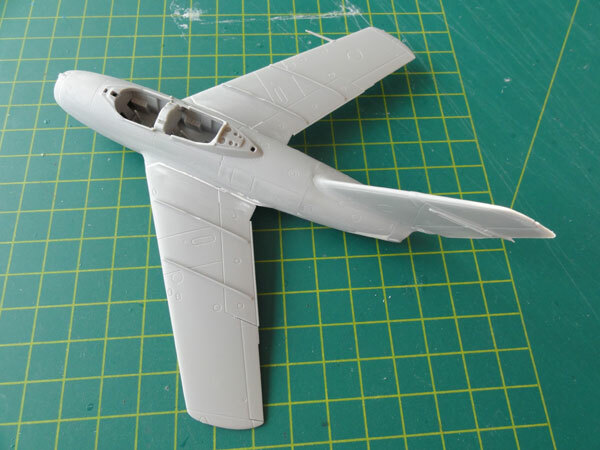 Mostly the finish is metallic and glossy and only a few decals are needed on each MiG-15 model. After Guinea - "Conakry" achieved independence from France in 1958, the "Force Aerienne de Guinea" was formed with Soviet assistance. 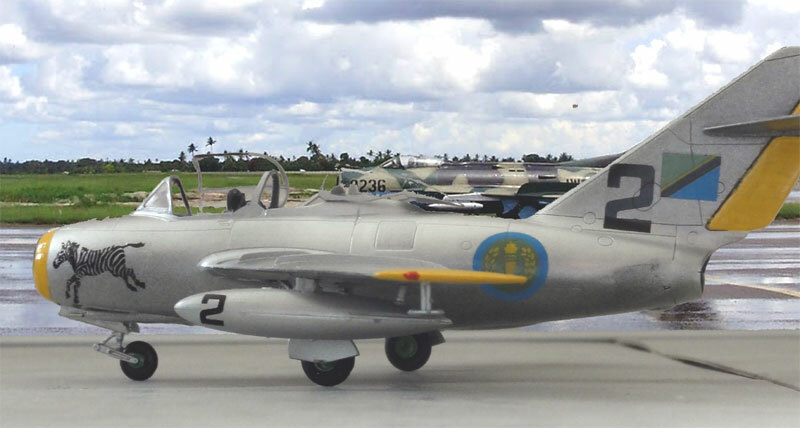 A delivery was about 10 MiG-17F fighters and probably two MiG-15UTI trainers. 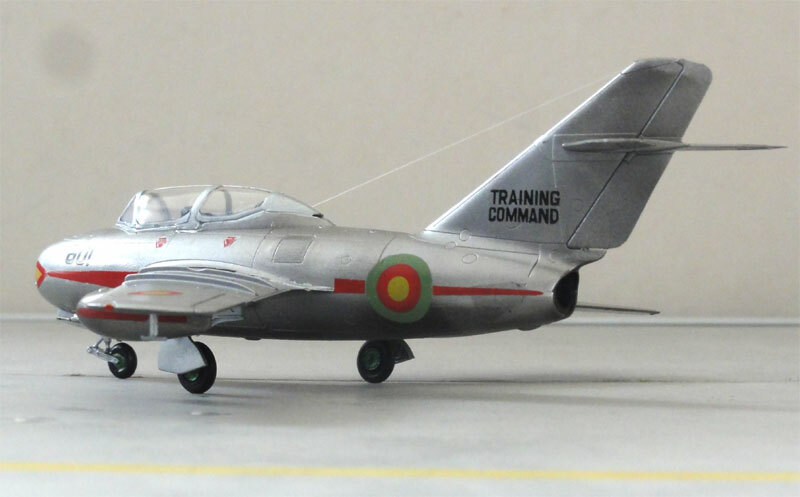 This two seater UTI trainer model was finished in a scheme of Guinea Air Force Training Command. Decals came from Kanga decals set 72017 (but after getting several layers of extra Micro Decal Film, otherwise they fall apart!). 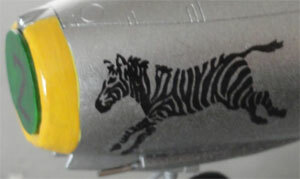 (apparently I found out that these markings were supplied also in an old HobbyCraft Canada kit). A red cover was made from card and the canopy kept closed. 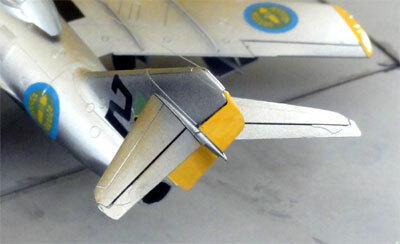 Slipper wing tanks were added. at the air base.... with tropical clouds. Tanzania became independent as a former British colony December 1961. 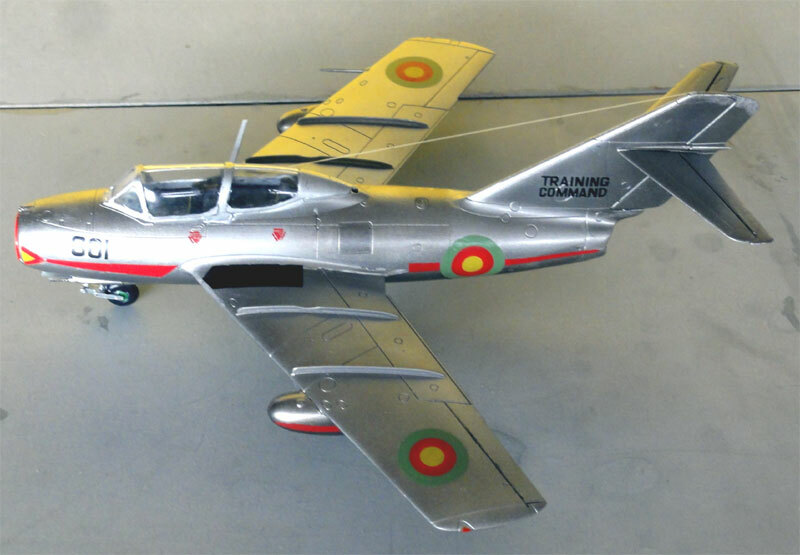 The Tanzania Air Force (" Jeshi la Wananchi la Tanzania ") got also Chinese Shenyang FT-2 trainers, the export version of the Shenyang JJ-2 which were very similar to the MiG-15UTI. 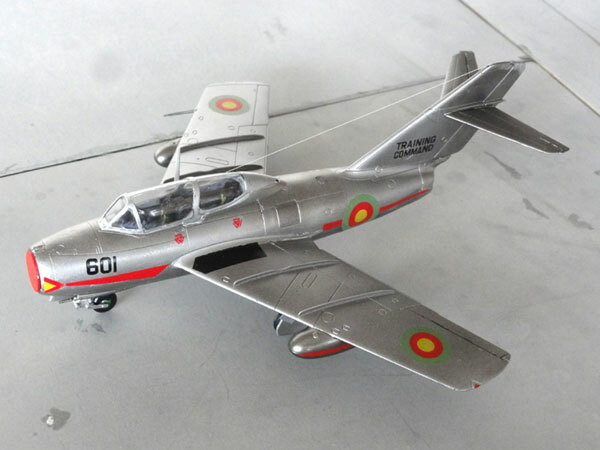 Two were supposedly delivered in 1970s and based at Mikuma airbase north of the Dar es Salaam. 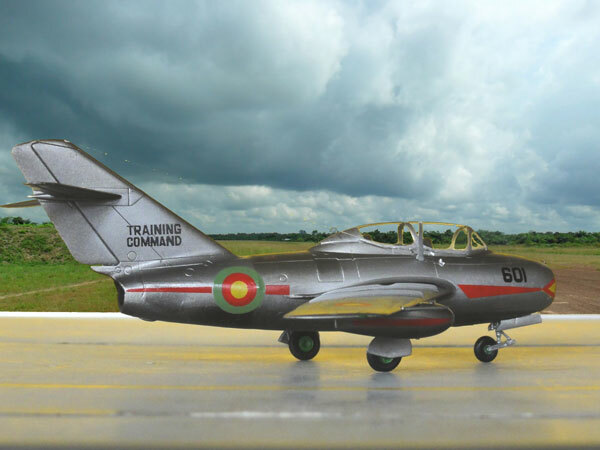 (The Tanzania air force also used the JJ-5, this trainer being a Chinese combination of the MiG-15UTI and MiG-17 ). 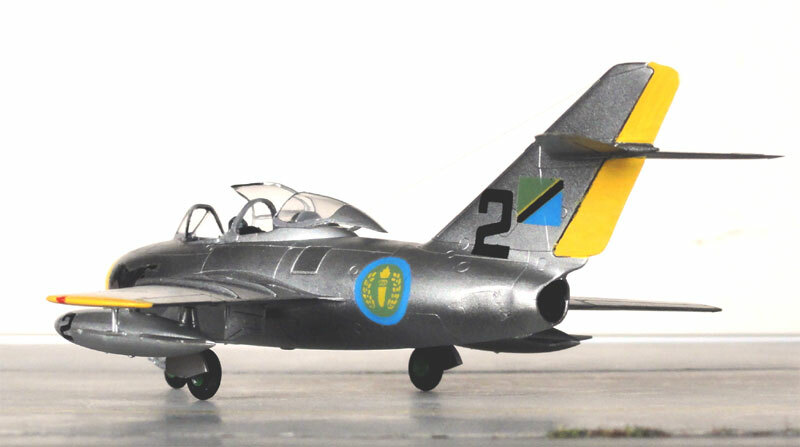 A model of Hobbyboss of the MiG-15UTI was finished as a similar Shenyang FT-2 in a scheme of the Tanzania Air Force. Decals came from Kanga set 72017. 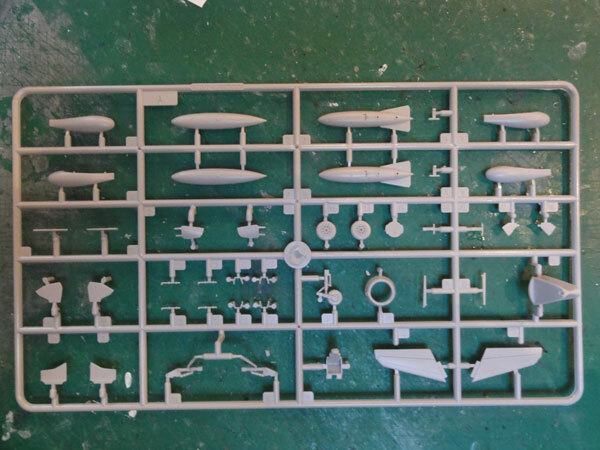 These decals need several coats of decal coat varnish like Microscale Decal Film otherwise they fall apart. 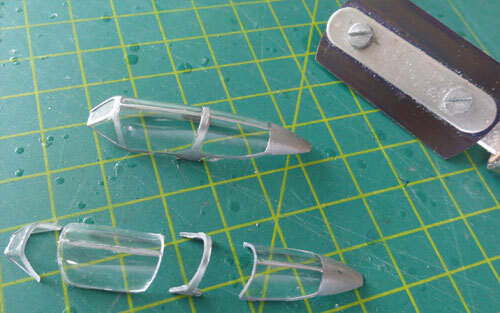 On this model the canopy was set open, separating the different parts with a TIGER razor saw. 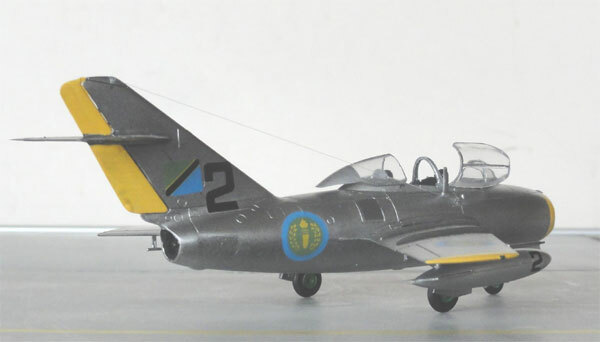 The kit seats were painted medium grey and some details in the cockpit added like seat straps and warning ribbons from tape. Note the walkways made from black decal and the yellow trim. 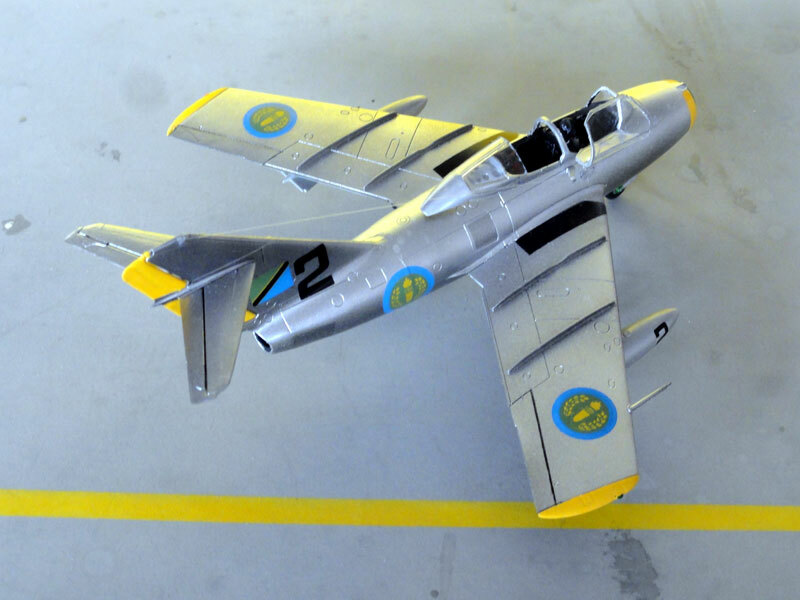 The numbers on the lower fuel tanks fitted with braces are also not seen a lot. 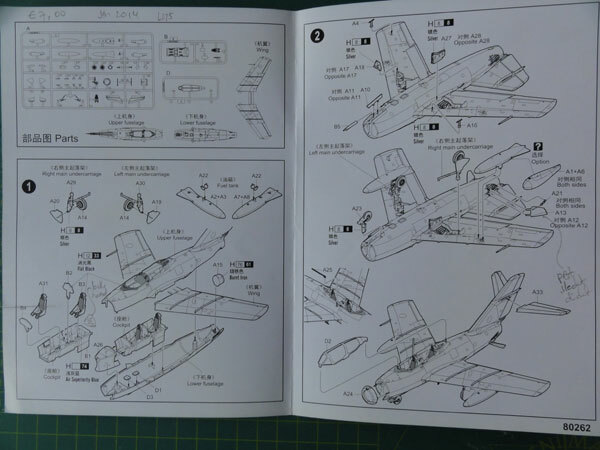 A green nose cover from plastic card was also added. 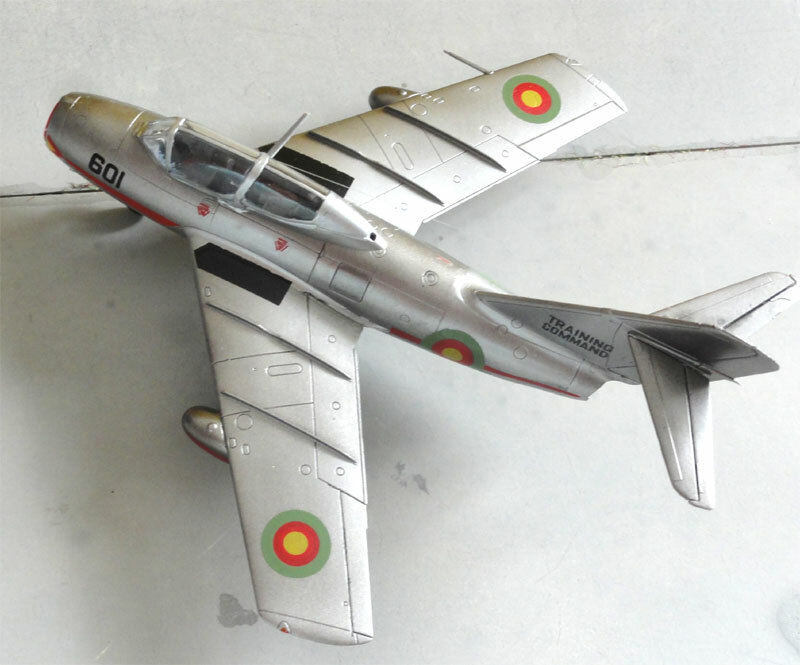 This Shenyang FT-2 with serial 52-212 and UTI coded "2" has a "zebra" on the nose. 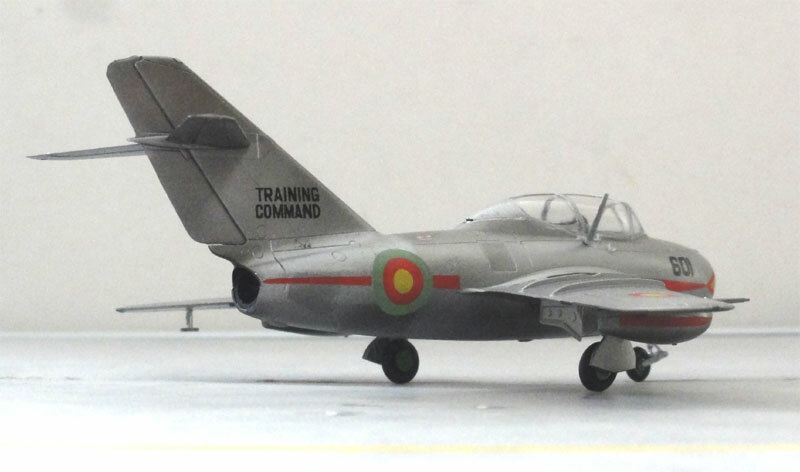 A nice model of a Tanzanian MiG-15. Here at Mikuma airbase. 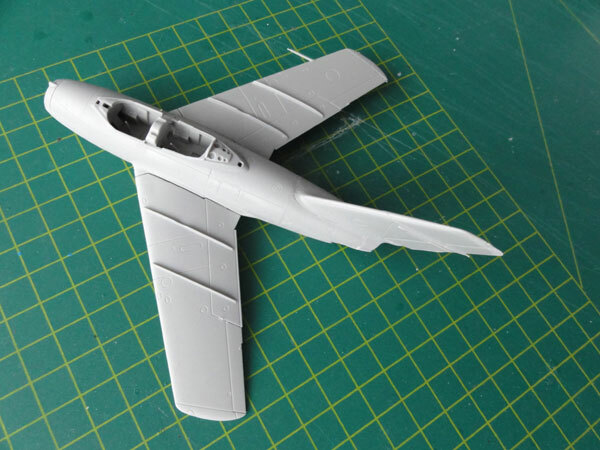 Recently, Eduard issued a brand new 1/72 kit of the two seater MiG-15 UTI. Maybe I will buy it.